A strong community need and demand for Endocrinology services has created this employment opening. 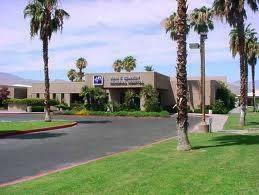 Practice will be mostly office based with occasional inpatient consults at JFK Memorial Hospital in Indio, California. You will have the backing of the hospital, medical staff, and a growing network of group employed physicians including coverage from another employed Endocrinologist based in Palm Springs. The group provides Salary, relocation, production + quality incentives, paid time off and full benefits. For more information and immediate consideration please send CV. Must be BE-BC with clean record. An active CA license, or in process, is highly preferred. John F. Kennedy Memorial Hospital was founded in 1966 by a group of physicians including Dr. Carreon, who later had one of the hospital's cross streets named in his honor. Originally called Indio Community Hospital, the hospital grew from a 112-bed hospital to the 158-bed JFK Memorial Hospital of today.